How to Pay XI Class admission fee 2019? HSC college admission registration fee sending process via Teletalk SMS, Sure Cash and Rocket Mobile Banking. Bellow, you have to see the instruction about XI class admission registration fee payment. 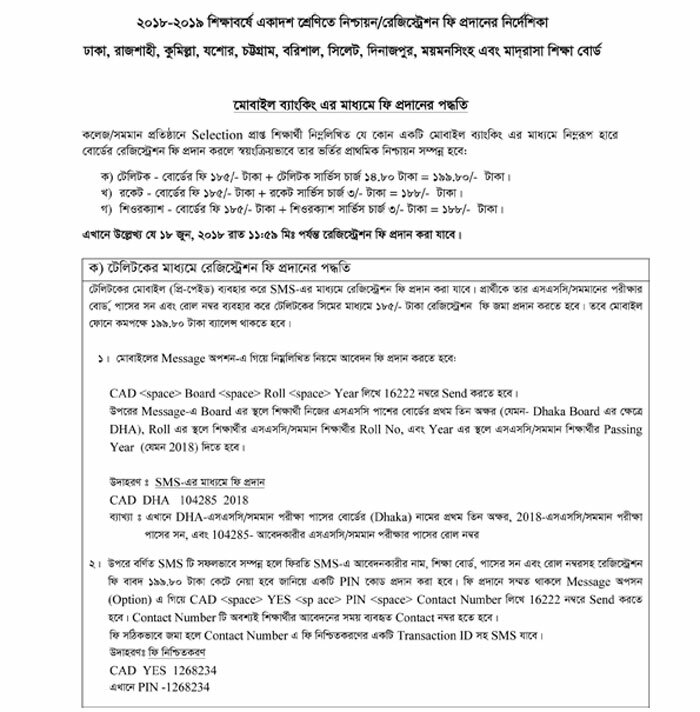 XI class admission result (1st merit list) has published 10th June 2019. Selected candidates must pay their registration fee within 27th June to 30th June 2019. Otherwise your application and registration will be canceled. College or Equivalent selected candidates can pay registration fee from any Mobile Banking system among Teletalk, Sure Cash and Rocket. After payment automatically his/r admission will be verified. XI class admission online application. 2nd SMS: CAD <space> YES <space> PIN <space> Contact Number and send it to 16222. 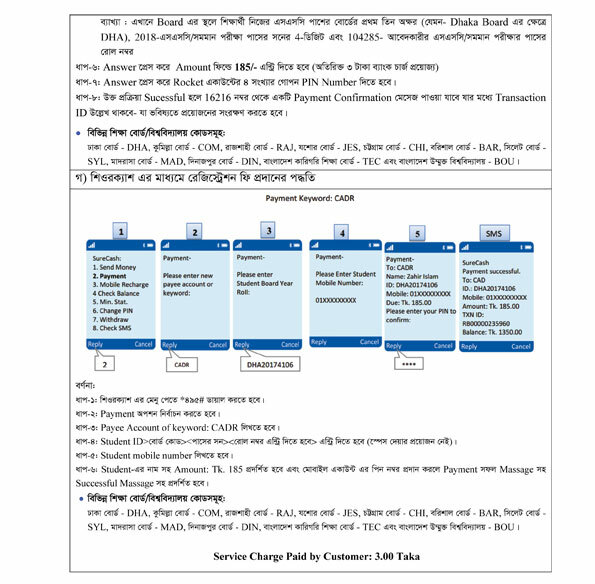 This contact number must same as previous contact number which is mention during application. Sure Cash XI class admission registration fee sending process and Rocket Fee sending process you may able to see to on the advertisement. Hope students will get all the information regrading XI class admission application fee and admission registration fee sending process as picture. 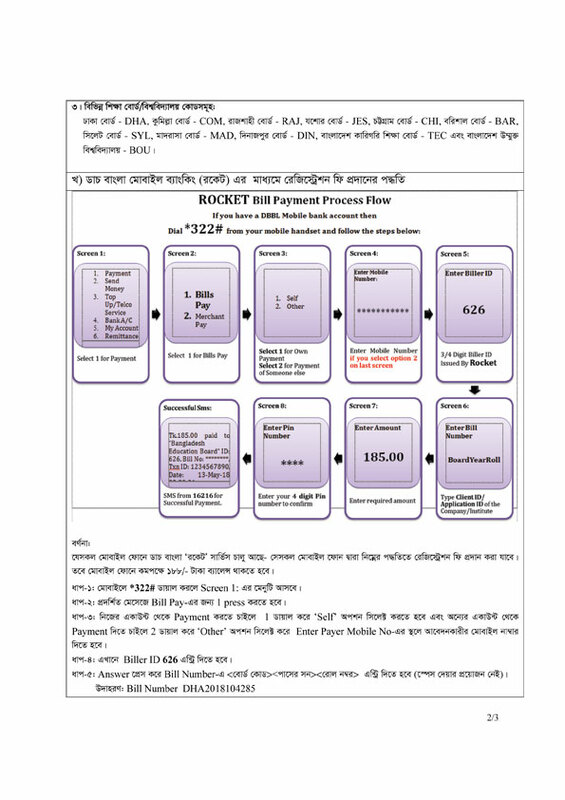 Teletalk SMS system and Rocket SMS system and Sure Cash SMS system.